It’s been a few days. I’ve been busy with yard work, a quick trip to Lethbridge etc. We’ve had a gorgeous week so far but we sure could use some rain. I planted my veggie garden this week, much earlier than usual but everything is 2-3 weeks early so what the heck, I may as well be too. Check out the photos below. 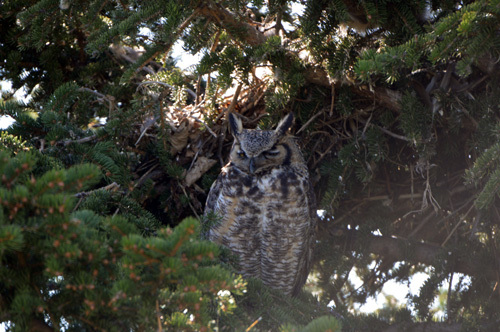 May 3 – Mamma owl on guard by the nest. She’s so used to me, she just keeps on sleeping. 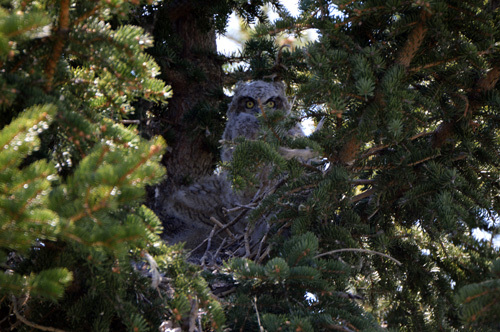 May 3 – Our little owls are really growing fast. 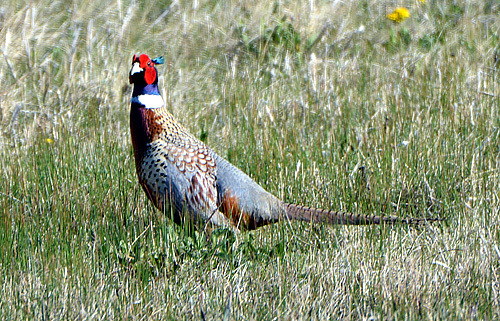 I still see and hear our Pheasant once in awhile. 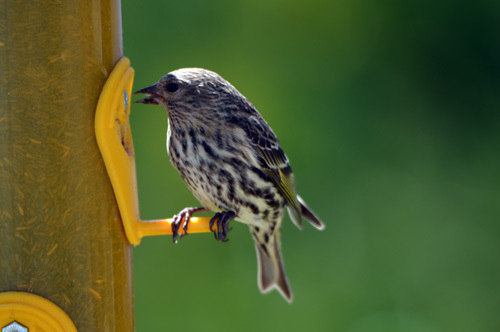 I was weeding just below the bird feeder and this little Pine Siskin came to feed. He was 2 feet from me. 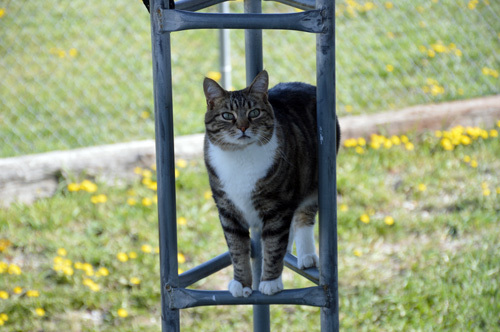 When Moxie is outside and wants my attention, she climbs up on the tower where she can look into my office and see me.